Devitt MCN Ally Pally Show & Supersprint 2018. It's been an incredible weekend at the Devitt MCN Ally Pally Show and Supersprint. Hope to see you all at the Carole Nash London Motorcycle Show at the ExCel in February 2019! The doors are open for day two of the Devitt MCN Ally Pally Show & Supersprint at the Alexandra Palace. People are already flooding through the doors on a damp Sunday, the show is completely indoors so don't let the rain put you off. The wet weather hasn't kept anyone away from the #mcnallypallyshow today. Tickets on the door will cost just £10 after 1pm. Hope to see lots of you here! After a 13-year break, MCN is now at Ally Pally over the weekend with a brand-new show that has a very special twist – the world’s only indoor Supersprint! Home of the original MCN London Show, Ally Pally is a one-of-a-kind venue and the cathedral-like main hall will once again reverberate to the sights, sounds and smells of race bikes as they thunder towards the famous rose window. There's all sorts of bikes at the #mcnallypallyshow including this @shawspeed custom @harleydavidson. Come and see for yourself. Game face on! We'll see you tomorrow! Watch bikes in action, on stands, up for auction and LOADS of gear on sale! Helmets, jackets, boots, gloves... All here and more tomorrow! And we're here setting up! UK manufacturer Triumph will be displaying a range of roadster, adventure and modern classic motorcycles. They will also be giving show goers the opportunity to apply for tickets to their 2018 exclusive launch party on October 24 of its eagerly anticipated new Scrambler 1200. Team Green will also be joining us and exhibiting the latest Kwak machines at this year’s show with the assistance of Colchester Kawasaki. Cutting edge motorcycling technology is showcased throughout the Kawasaki range, from the modern classic Z900RS Cafe Racer, to the world's ultimate sports tourer, the supercharged Ninja H2 SX SE. The friendly and experienced team at Colchester Kawasaki will be on hand all weekend to assist valued customers with their Kawasaki and motorcycle related enquiries. We’re gathering together the finest line-up of classic and modern machinery for the Supersprint and onboard them will be some very special riders going head-to-head in an explosion of acceleration. 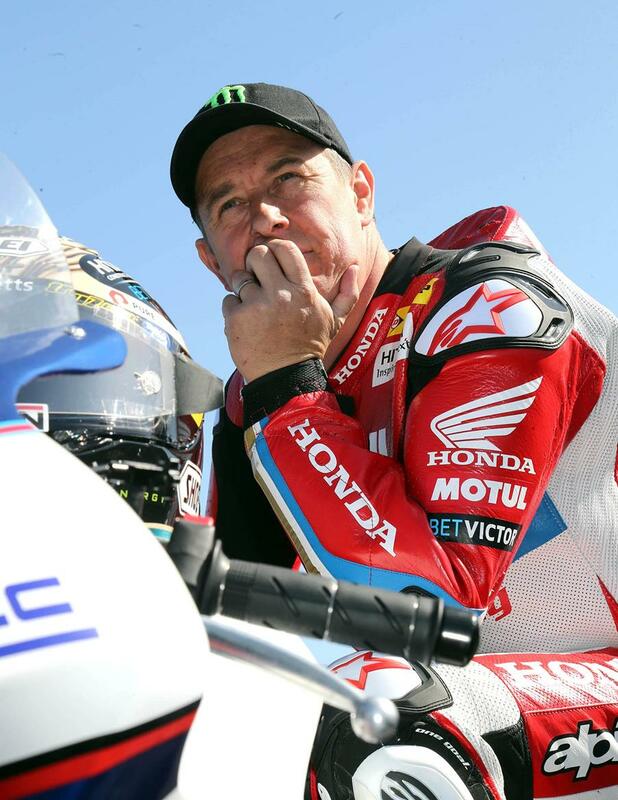 The first riders confirmed are Isle of Man TT hero, John McGuinness and WSB legend Carl Fogarty. McGuinness and Fogarty always step-up as fierce competitors when they've taken part in our shows and no matter what they're riding, expect some fireworks and bring some earplugs too, it’s going to be loud! When you’re not watching the Supersprint there’ll be dealer stands, retailers selling everything from kit to spare parts and some top-notch food and drink. Don’t miss Britain’s newest and best ride-in motorcycle event! Alongside the Supersprint a range of super exotic modern and classic race bikes will be firing down the strip at top speed in a cacophony of noise and explosive speed. The Ally Pally Show & Supersprint is like nothing you’ve ever seen before, for an extra special experience book yourself the full VIP experience. You’ll get closer to the bikes with an exclusive track walk, take part in a meet and greet with the superstar celebs, 10% discount off event catering, plus you’ll receive a special MCN goodie bag. Prices are £30 for an adult VIP and £15 for children (15 years old and under). 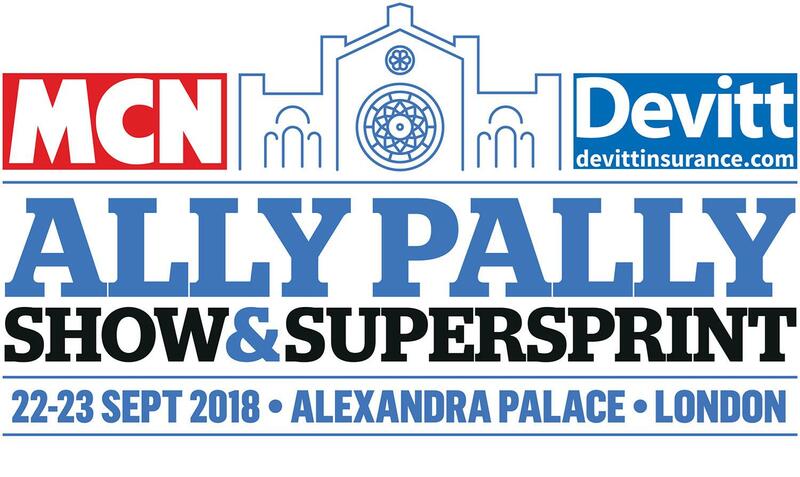 The MCN Ally Pally Show & Supersprint will take place on September 22-23, 2018 at London’s Alexandra Palace. You can bag your tickets over at the Ally Pally website. Chris Walker racing on the slalom course at the Ally Pally Devitt MCN Ally Pally Show & Supersprint 2018.